Supplier: Yantai Baicai Machinery Co., Ltd.
company : Yantai Baicai Machinery Co., Ltd.
Our company-YANTAI Baicai Machiery Co., Ltd. supply side type, top type, silent type hydraulic concrete breakers and spare parts. High quality with competitive price. 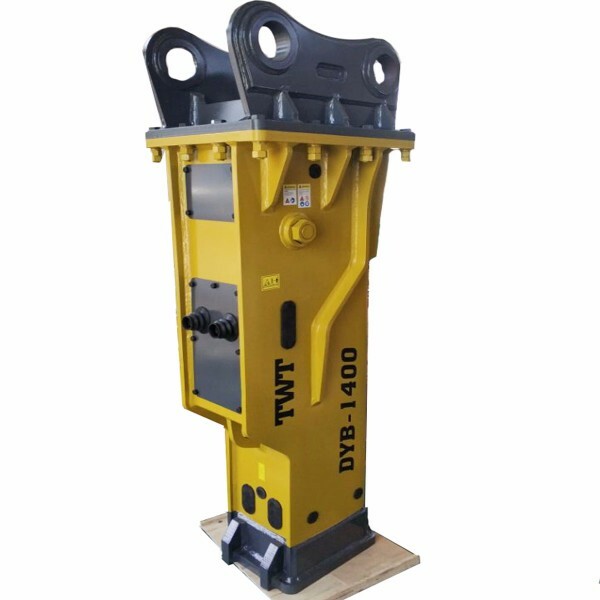 Below hydraulic concrete breakers YLB1400 is very popular model breaker, if you have any interest in our silenced type YLB1400, welcome you to inquiry for it. 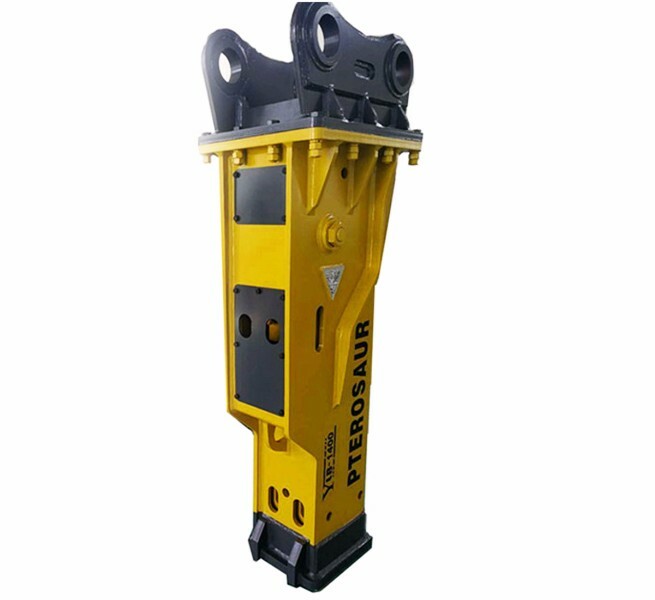 The power source of the hydraulic hammer is the pressure oil provided by the excavator or the pump station of the loader, which can more effectively clean the floating rock and the mud in the crack of the rock in the function of excavating the foundation of the building. The principle of selecting hydraulic breaking hammer is according to excavator type and the environment of working. The system has high efficiency,it can reduce energy losses to a minimum and provide high impact energy.Therefore,YANTAI BAICAI hydraulic breaker hammer can provide first class powerful impact energy. YANTAI BAICAI hydraulic breaker hammer adopts the most outstanding design concept.it can make the hydraulic breaker hammer match more efficiently with its host by increasing the stroke of the piston and cylinder. The device can adjust the flow from the excavator and power source,so it can adjust the impact force and beat frequency according to the situation of the rocks.large force-slow speed,small impact force-fast speed. The hydraulic breaker hammer uses special precision precessing structure to ensure better impact force,explosive force,stability,etc. Piston, cylinder, front part of the main body, and other main parts of the gear are all treated by lastest heat treatment equipment. Years of technical heat treatment experience has ensure the quality and stability of our YANTAI BAICAI series product, making us the leading role in the production of broken hammer. 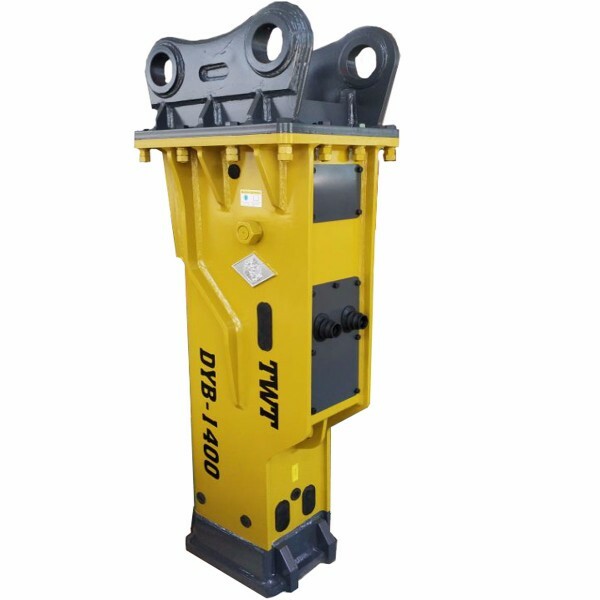 YANTAI BAICAI hydraulic breakers adopt unique hydraulic circuit, requiring less oil, which greatly improve the efficiency of power generation. 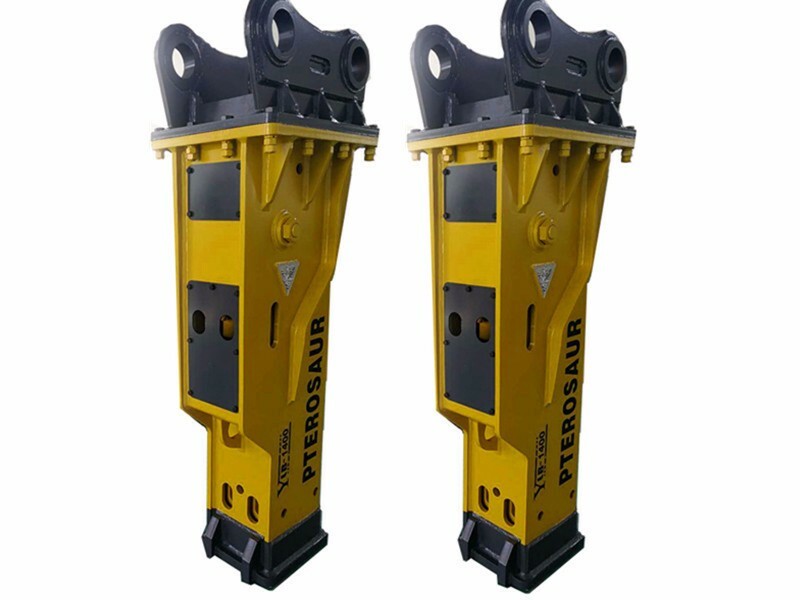 The bottom of hydraulic breaker adopted high strength and wear resistance steel plate, which not only guarantees the long life of breakers, but also enhances the working efficiency. The advanced crystallization of complete oil pressure and slight oil adjustment was introduced, which guarantees the incredible impact force and durability. And it makes all clients satisfied under any working conditions. 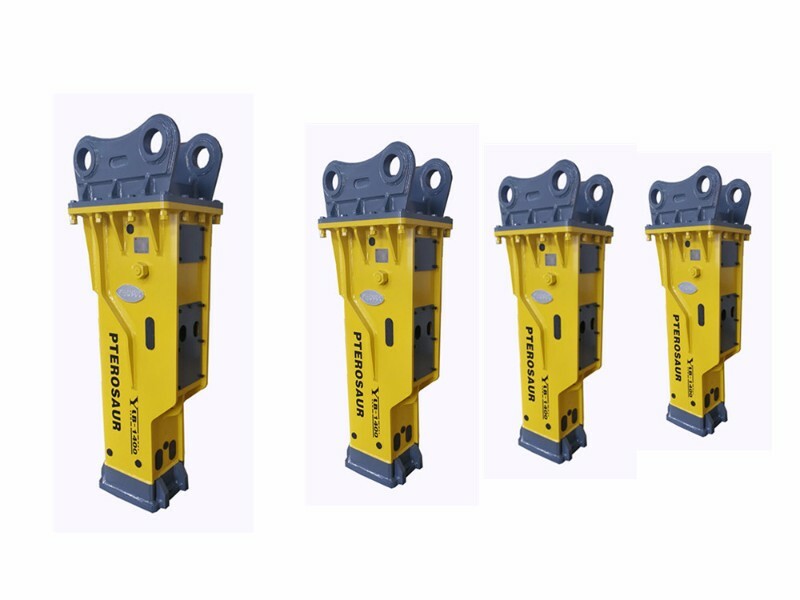 Our YANTAI BAICAI hydraulic breakers are compatible with all kinds of excavators such as Doosan, Dawoo, Volvo, Hitachi, Kato, Kobelco, Komatsu, Sumitao, Liebheer, Hyundai, Cat, Jonyong, Changjiang, Liugong, Yucai, Case, John Deer, Fotonlovol and Loader etc. Through bolts: Longer service life by to applied heat treatment. Back head: Material: 20CrMo, impact energy is accumulated due to charged nitrogen gas in the block. Front Head: Using 20CrMo material, high quality with long life using. Valve: We adopt production process by grinding machine, with high precision. Cylinder body: Material: 20CrMo, it is best quality material. Piston: Longer service life by optimized design and high quality special steel. 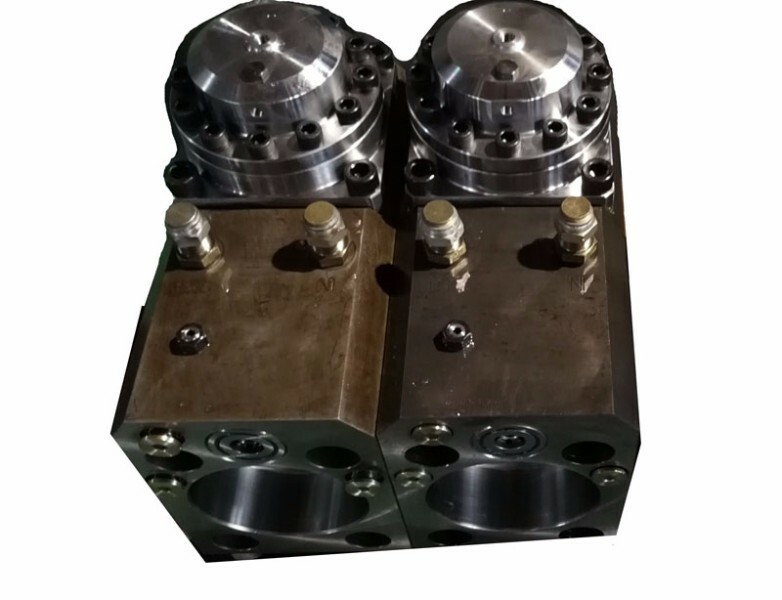 Front Head: Using 20CrMo raw material, which are provided by domestic famous manufacturer, forging again and again to make internal organization more tight and increasing the hydraulic breaker wear-resistance. Chisel: The specially heat treated chisel is directly applied to break rocks. There are four types for choosing: Moil, Blunt, Flat, Conical Point. The material is 42Crmo. Ring Bush & Front Cover: Guiding the chisel while they are working. Using 20CrMo steel as raw materials, which are provided by domestic famous manufacturer; forging again and again to make forming, to make internal organization more tight, and increase products’ wear-resistance. Seal Kit: We can supply both Parker and NOK seal kit which are most famous brand in the business line. DOOSAN DAEWOO, HYUNDAL, KOMATSU, HITACHI, CAT,KOBELCO, VOLVO, LIEBHEER, SUMTOMO, KATO, JONYANG, ATLAS ECT. 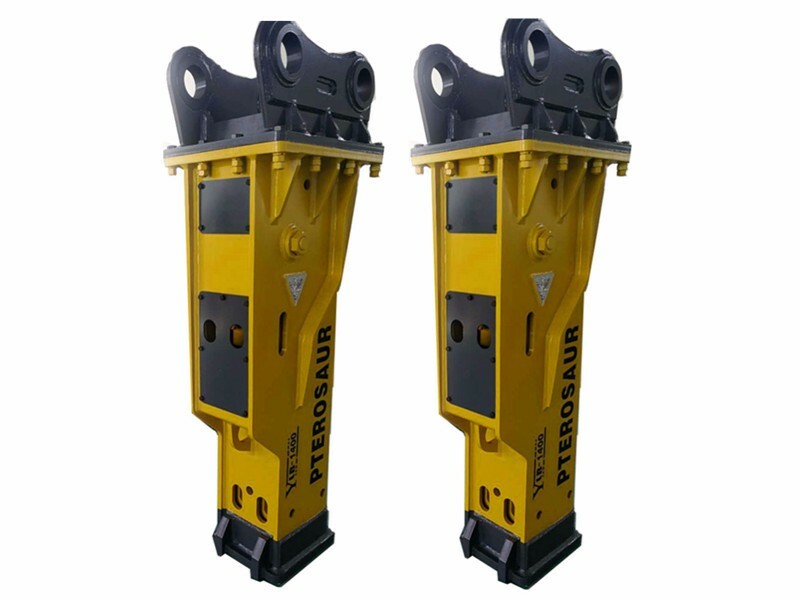 Hydraulic breaker hammer has become an important working tool for excavators, and some people install the hydraulic crushing hammer in the backhole loader (also known as two busy) or wheel loaders to carry out the crushing operation. Hydraulic breaking hammer, also known as hydraulic breaker or hydraulic Stone breaker. Easy maintenance, low cost and impact energy increase. Therefore, users can reduce the cost of using and maintaining two aspects at the same time. In the case of single strike, the strength will be slightly larger, no space can be found during the installation and maintenance, otherwise the nitrogen will be leaked, which causes the crusher to strike weak and the accumulator diaphragm damaged. The accumulator is filled with nitrogen, which uses hydraulic hammer to reverse the remaining energy and piston during the previous blow. The energy stored in the tank is stored at the same time, releasing energy at the same time during the second strike, increasing the hitting ability, usually not hitting the crusher itself. The accumulator is installed in the case of energy to increase the striking force of the crusher. So there are no accumulators in small hydraulic hammer, and medium and large ones are equipped with energy storage. * Press Chisel to the object to be broken. * Once object is broken, stop striking immediately. High: The temperature of hydraulic oil must be ensure it close not exceed the specified temperature limits. Low: At temperature below 0 degrees centigrade, the carrier must be warmed up prior to use, in the way described by the excavator manufacturer. Ensure that the hydraulic oil in the carrier is at least at 0 degrees centigrade, before starting up the hydraulic hammer. Note: The Hydraulic hammer and excavator or will not operate to full capacity unit the oil temperature has reached at least 60 degrees centigrade. Always observe the relevant safety regulations when handing oils and greasing. Every two hours of continuous operation lubricate the chisel with moly-based grease. To guarantee longer life of chisel and bushing, hydraulic hammer should take high performance grease and genuine parts which is supplied by PTEROSAUR. 1. Engine’s rotation speed should be controlled under the one pre-set. 2. Don’t work continuously in hot summer, to prevent too high temperature of hydraulic oil. If oil temperature reaches 80 degrees centigrade, must stop working, until the temperature lowers down. Feeding hot hydraulic oil to extremely cold hydrauic hammer will cause internal stresses in the unit resulting in its failure. If grease is not supplied sufficiently, then high hear is generated due to friction at the moving parts if the hammer. The heat can cause premature wear and cracking of related parts. Please choose No.68 hydraulic oil in winter and No.46 hydraulic oil in summer. Oil should be clean & sufficient during working. Dirty oil will cause damages to the Breaker. Please check regularly if Breaker’s cylinder, accumulator, oil pipes & hoses leak oil. If oil leaks, please replace O‐ring & oil seal in time. Before each working, check if the chisel pins are in good conditions. Check regularly the clearance between bushing and chisel, too much clearance will cause piston & chisel broken. If outer diameter of chisel abrades more than 3mm, or inner diameter of bushing abrades more than 6mm, please replace new ones. YANTAI BAICAI MACHINERY is one of Hydraulic Breaker MANUFACTURERS in China machinery sector. We hope and strive to bring you cost-effective purchasing enjoyment through our consistent efforts and good service. YANTAI BAICAI is not cheapest price in China,maybe we are not best quality,but we will be your right supplier. Welcome to contact us for more information.